Using the same Slot & Lock connector technology and proven 16mm aluminium tubing to form the lightweight yet very capable framework, the pea support frame comes in three raised bed friendly lengths (1.03m, 1.65m and 2.26m) which can be easily placed in 1.2m, 1.8m and 2.4m long wooden raised beds respectively. 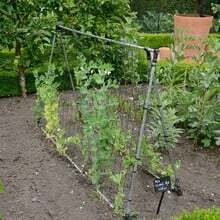 For real pea fans there's a 3m long version and although all sizes of frames are fully adjustable, our optimum height recommendation is 1m with the width set at 36cm. 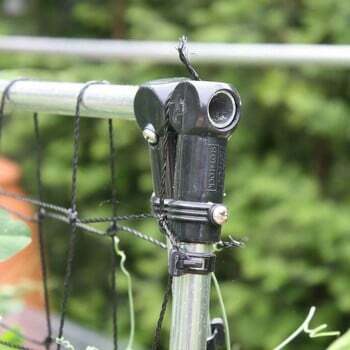 Galvanised steel ground pegs are supplied to hold the frame firmly in position and with a long lasting piece of 80mm mesh knotted net completing - and further strengthening - the frame, you're safe in the knowledge that our Slot & Lock won't rock! 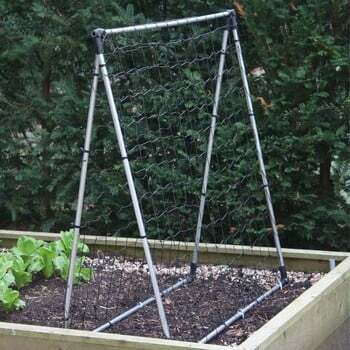 The peas support frames are very sturdy and easy to construct. Excellent product - I am so pleased with it! My peas are romping up it happily and it means I have no more frustration trying to persuade them to climb twigs and pea sticks, which they never want to do! Would recommend to anyone and in fact, have done so! 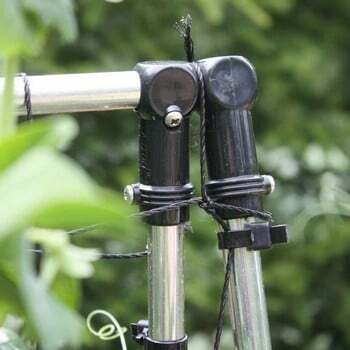 Very robust, had no problem constructing. 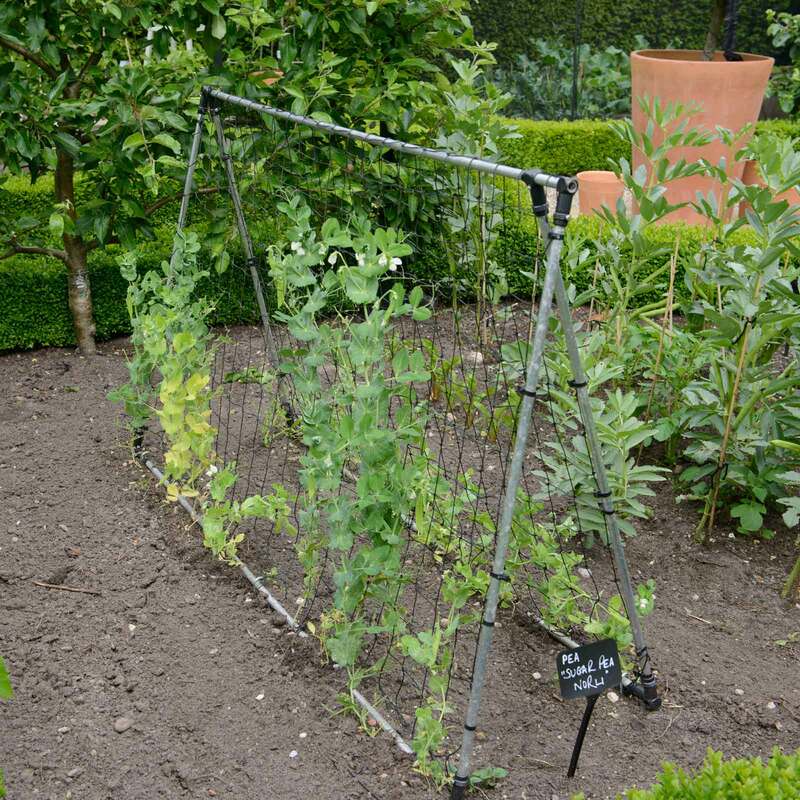 Looking forward to harvesting a fine crop of peas later in the season, using the frame year on year. 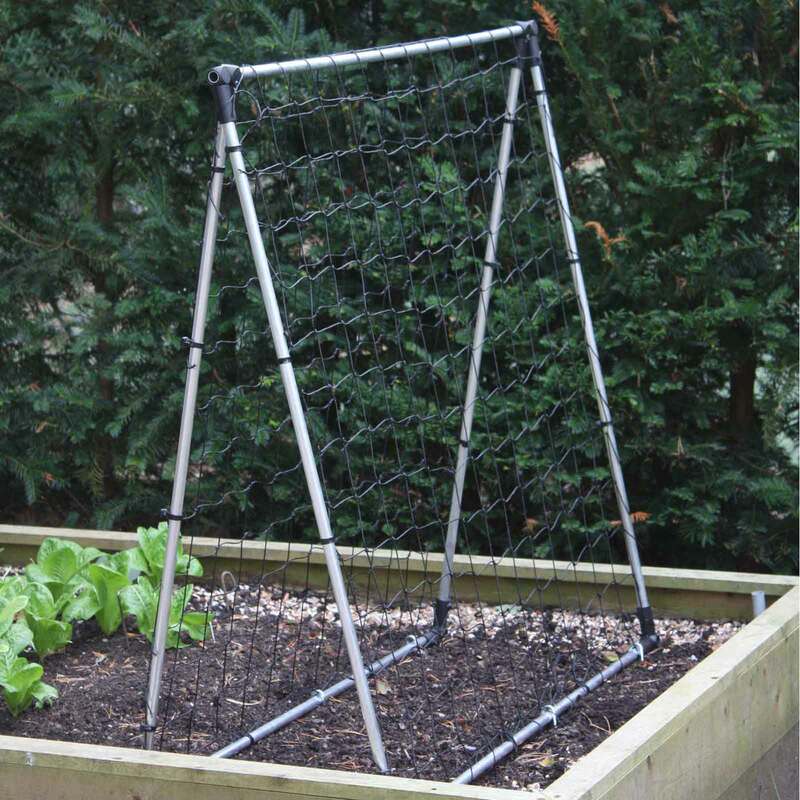 Our horticulturist Martin Fiddes says; "A reliable pea and bean support frame is a must if you want to grow a decent crop of these staple garden vegetables and that means the netting as well as the framework. 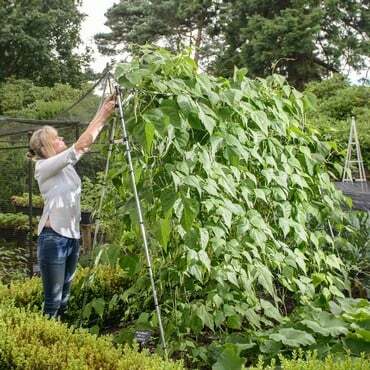 It's usually difficult to reach through to pick pods in the middle of a traditional frame but this netting allows you to do so easily and taking the frame down and storing it - another common problem - is made really simple. To get the most from your legume crop and the frame, try digging and filling a bean trench with well rotted organic matter a couple of weeks before planting, make sure peas and beans precede brassicas in your crop rotation and sow pea seeds in guttering to boost germination rates (and protect from mice) before sliding out into a planting drill or furrow". Amateur Gardening 'Best Buy' scoring 18 out of 20 - a well-built frame that, despite its size was surprisingly lightweight and easy to move around. But I don't doubt that any tendril-clinging climbing plant would relish the chance to cover that netting.